The club are sharing a bus to this rearranged fixture with the Perth True Blues. The bus will leave Perth Library at 6pm and pick up at Broxden. 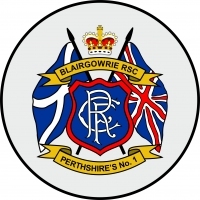 Members who are travelling from Blairgowrie will need to make their way to Perth independently. Our assumption is that all members who were going to the original fixture will be going to the rearranged fixture. If this is not the case please call or text Rory on 07803 561 941 ASAP.